💜 Sea salt: Swap your refined salt (table salt) for Celtic sea salt or Himalayan crystal salt. They’re less acidic than table salt, less dehydrating, and actually provide beneficial minerals. 💜 Broccoli: When collagen in your body hardens, it causes cellulite. Broccoli contains alpha lipoic, which prevents this from happening. Eat 3-4 steamed portions per week. 💜Oranges: They improve blood circulation and correct cell imbalances that may lead to cellulite. Asparagus: It’s an anti-inflammatory super food. 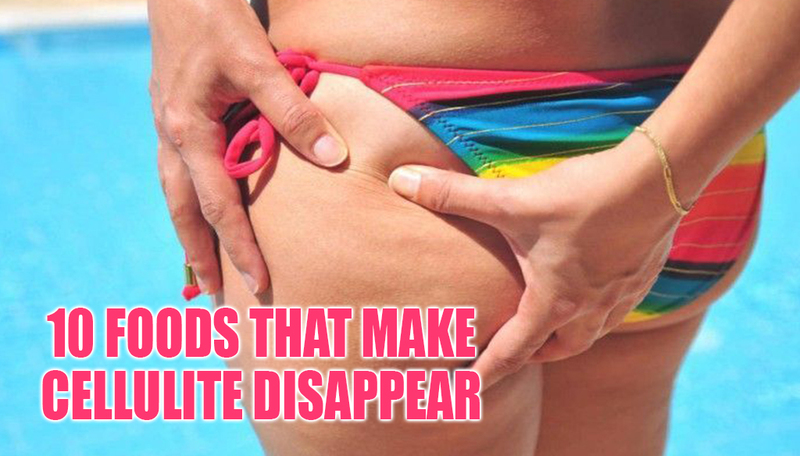 Celebs swear by it because of its de-bloating powers. It also stimulates blood circulation and flushes toxins. Byeee cellulite. 💜 Cayenne pepper: It improves circulation, increases blood flow, and boosts metabolism. Wasn’t this Beyonce’s idea? Tell ‘em B. 💜Garlic: It’s awesome for general health, terrible for breath, and excellent for reducing cellulite. 💜Watermelon: It’s super hydrating and helps smooth out cellulite by improving blood circulation. Bonus – it’s great for your heart, too! 💜Pink grapefruit: It boosts metabolism and corrects cell imbalances to diminish cellulite. This one’s a winner, for sure. 💜 Tomatoes: The lycopene in tomatoes stimulates circulation, and their vitamin C content keeps skin nice and taut.